The programmatic world is evolving every day. Programmatic buying has been gaining motion in India as an efficient way to buy advertising inventory. Header bidding is currently trending in the programmatic advertising industry. 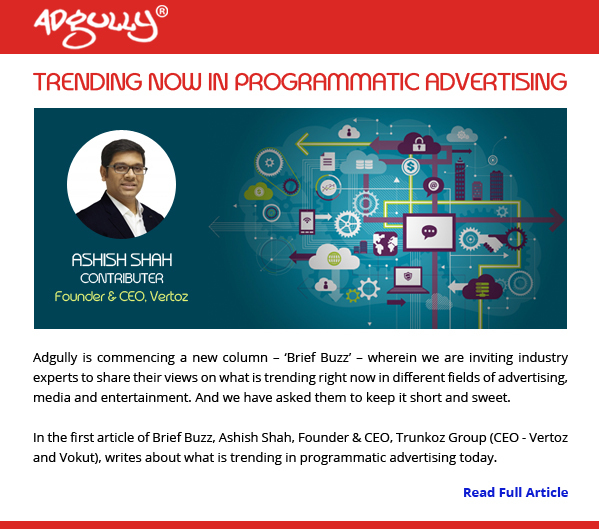 Ashish Shah, Founder & CEO, Vertoz, talks about the new trends as well as the various positives of programmatic advertising for different stakeholders. He talks about direct buys and the private marketplace has a great influence which will only keep on increasing in the coming years. Thus, we are serving more and more people to opt-in and try out digital advertising in this industry. People will soon start accepting programmatic and benefit from it. We deliver you with better targeting along with tracking performance and analytics.